Rayle Farm self-catering holiday cottages are set in the heart of beautiful western Cornwall. The traditional farm buildings have been sensitively converted by local craftsmen and are perfect for relaxing short breaks or longer family holidays. Each cottage rental accommodates between two and six people and dogs are welcome. The seven holiday cottages are ideally suited for families or couples wishing to take a holiday in this picturesque part of the country. Cornwall is a fantastic holiday destination throughout the year and Rayle Farm Cottages are available for winter or spring breaks and Easter breaks as well as longer summer holidays. Do take a look at what Rayle Farm has to offer. 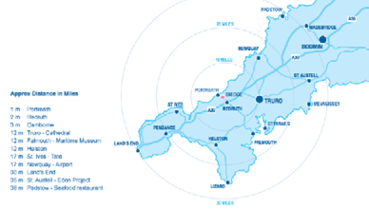 You will find that we are competitively-priced as well as being perfectly situated one mile from the coast and within easy travel of the Eden Project. The holiday cottages overlook a beautiful valley leading down to the sandy beach at Portreath. Cornish holidays don’t get much better than this.